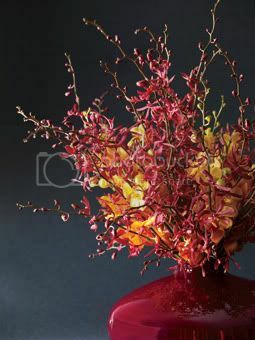 By bethtamar, September 7, 2007 in Wedding Flowers, decoration, cake, etc. That site has some great things. I am interested in the parasols. Thanks for sharing. These are pictures of the centerpieces I made. They are on 30 inch clear acrylic pedestals so they will be easy to travel with. You gurls are so inspiring! i have been searching for a while have narrowed it down to small vases with flowers and then three tier candle jar pilers. Great job on making these these yourself!! They're really pretty! Where did you find the acrylic pedestals? Acrylic would be so much easier to pack instead of glass vases. these are all amazing thank you everyone for sharing. I was not planning on taking any centre pieces with us, should we or are these for the AHR? Those are amazing!!! Did you have Michaels design those? I only ask, because I saw something similar there. How you are traveling with them? just packing them up and taking them on the airplane? *** oh, I forgot to mention, these would be for my AHR. I'm not really having a reception at the DW, but rather just taking everyone for a nice meal or something afterwards.